The Ligeti Quartet is dedicated to performing modern and contemporary music, commissioning new works, and engaging a diverse audience. Formed in 2010, they were united by their fascination with the music of György Ligeti, and have since established a reputation as leading exponents of new music. Engagements have taken them throughout the UK and abroad, with performances including Carnegie Hall (US), The Barbican Centre (UK), Wigmore Hall (UK), and international festivals including the Pablo Casals Festival (France), Musik 21 Nachwuchsfestival (Germany) and ‘HellHot!’ New Music Festival (Hong Kong). The quartet were selected for the Young Artists Programme at St John’s Smith Square 2015-16 and are currently Ensemble in Residence at the University of Sheffield. They were recently appointed as the first holders of the University of Cambridge Chamber Music Residency. The quartet comprises graduates from the Royal Academy of Music, Royal College of Music and the University of Oxford. They have studied intensively with Hatto Beyerle (Alban Berg Quartet) as part of the European Chamber Music Academy 2013-14 and with members of the Arditti Quartet, Chilingirian Quartet, James Boyd, Ferenc Rados, Peter Cropper and Stephen Kovacevich. 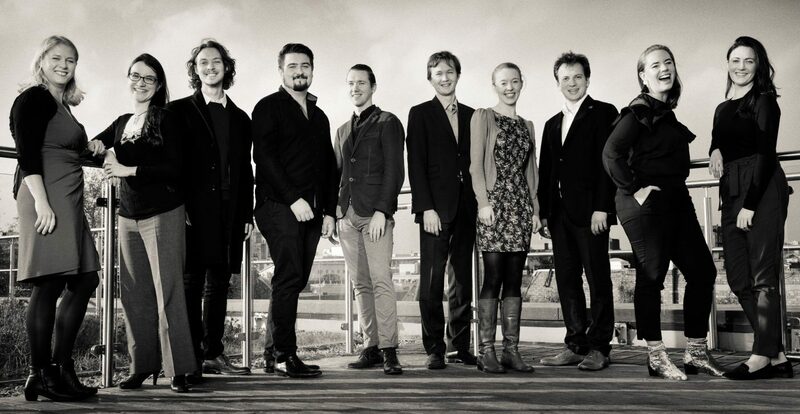 In 2015-16 they will be associated with the Birmingham Conservatoire, both teaching and receiving coaching. They receive regular mentorship and coaching from the Kronos Quartet, most recently in New York as part of Kronos’ ‘Fifty for the Future’ project. 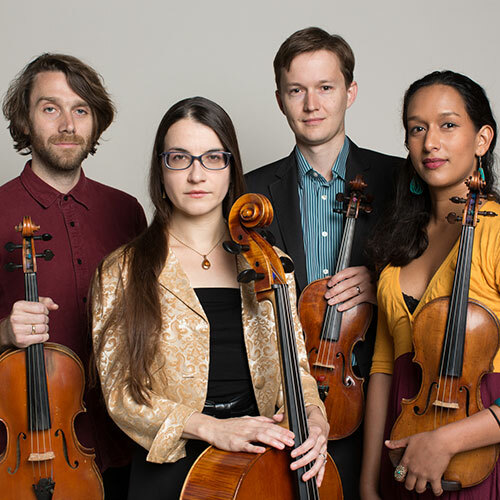 The Ligeti Quartet regularly works with artists outside classical music; they have performed with musicians such as Wadada Leo Smith, Shabaka Hutchings, Submotion Orchestra, Laura Jurd, Meilyr Jones, You Are Wolf and recorded with many others. They have gained a reputation for an innovative approach to new music, through work with performance artists, video, actors and DJs. They also maintain a particular interest in education, regularly leading workshops at schools and universities.